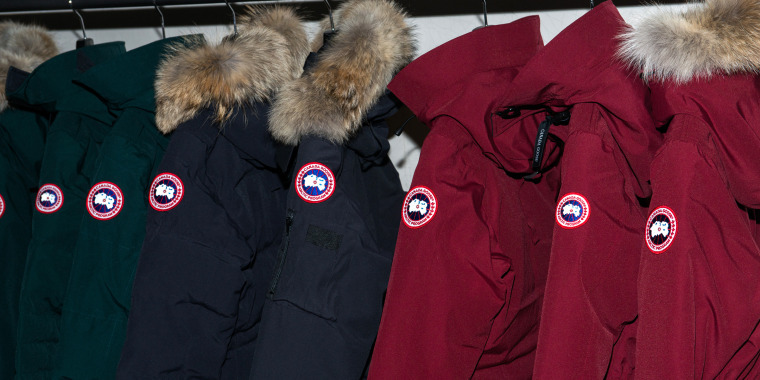 A British high school says it is "poverty-proofing" its campus by banning Canada Goose, Moncler, Pyrenex and other designer winter coats. A British high school has banned students from wearing Canada Goose and other designer winter coats in an attempt to “poverty-proof” its campus. Officials at Woodchurch High School in northwest England community of Wirral, just outside Liverpool, notified families earlier this week that posh parkas and other outwear will be prohibited from campus once students return from their Christmas break. Most of the puffy coats from Canada Goose, often spotted on celebrities or on the streets of the nation’s most frigid cities, easily run upwards of $1,000 or above. Other designers banned from campus include Moncler and Pyrenex, whose jackets cost just as much if not more. Head teacher Rebekah Phillips said the school community supported the idea of a ban during discussions about the move. "We are very concerned as a school about poverty-proofing our school environment and, as such, we met with groups of pupils and made the decision in consultation with them,” Phillips told the BCC. She said students had approached school leaders “about the pressure on families and the pressure on themselves to wear particular branded coats.” Similar complaints led the school to introduce a common student bag, Phillips said. Several other British media outlets said a note sent to parents and guardians said the response to the move “has been overwhelmingly positive and we are very thankful to this."